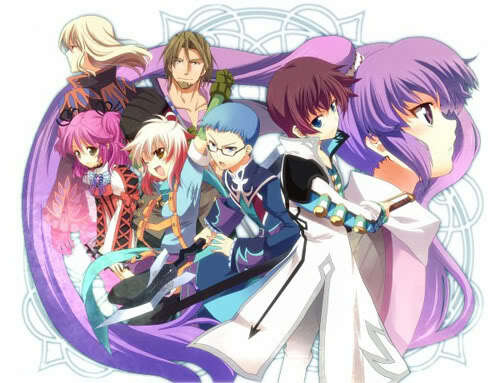 So a few minutes ago I watched the end credits for Tales of Graces ƒ, well at least the end credits for the main game. I will have the future arc to get through, but as I said the main game is cleared. Damn! I love this game! I was not disappointed at all with this, it really lived up to all my expectations. I honestly can say that nothing disappointed me, but then again I’m rarely disappointed by a Tales of game. so far its only been Tales of Legendia that has been lacking for me. But it had good music at least! I loved that Namco Bandai made sure to voice all skits! I know they did it with Tales of Vesperia too, but you never know… I really hope they’ll keep doing this in future localized Tales of games. Come on Namco! Give us Tales of Xillia now! I’m ready, we are ready! Give it too us. My biggest complaint with Graces so far has too be that Namco is to hot on the DLC stuff, all the nice and cool costume titles are buyable DLC. You can’t get them in the game otherwise, but they are on the disc… Sadly this is also something Tales of Xillia suffers from and probably all future Tales of games, but as long as we can get the games in English I shouldn’t complain about such a minor thing. It’s not like the game is worse because of this, it’s just a shame they’re going this way. Well it’s the best game I’ve played in a while and it was a very anticipated game for me, so I’m really glad it turned out to be so much to my liking. So now we’ll see what more games will be truly awesome this year. Kul att du har klarat det! Ser också fram emot en release av Tales of Xillia. Hoppas! Hoppas verkligen Xillia finner hittar ut från Japan, vill ha mer! Mer!